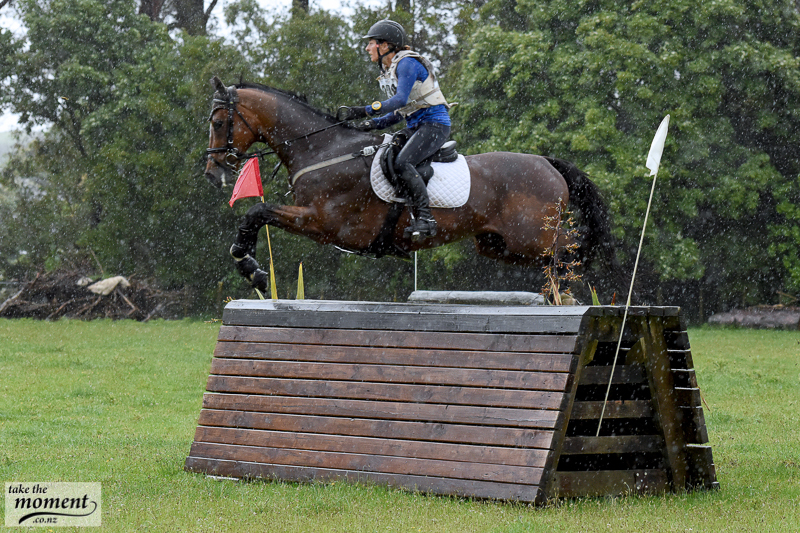 Sam won the Honda NZ CCI3* at Puhinui on Ricker Ridge Divine Right, taking the lead after Saturday’s cross-country when her thoroughbred mare, by His Royal Highness, was the only horse to finish inside the time on the punishing going resulting from so much rain prior to the event. But it was her third placed ride Ricker Ridge Rui who rocketed into the lead in the Super League, having placed consistently all season. However these could be the last points Sam will earn in the series, as she is planning to take a team of “about four” horses to England, where she will be based with Ginny Thompson at Blyth Tait’s former yard. She said, “It is a bit of a pipe dream as I’m still trying to gather support to get there,” but she has overcome major obstacles in the past (including a broken pelvis) so her determination and drive is sure to get there. Sam is also getting married on 12th January so 2019 will be a very big year. 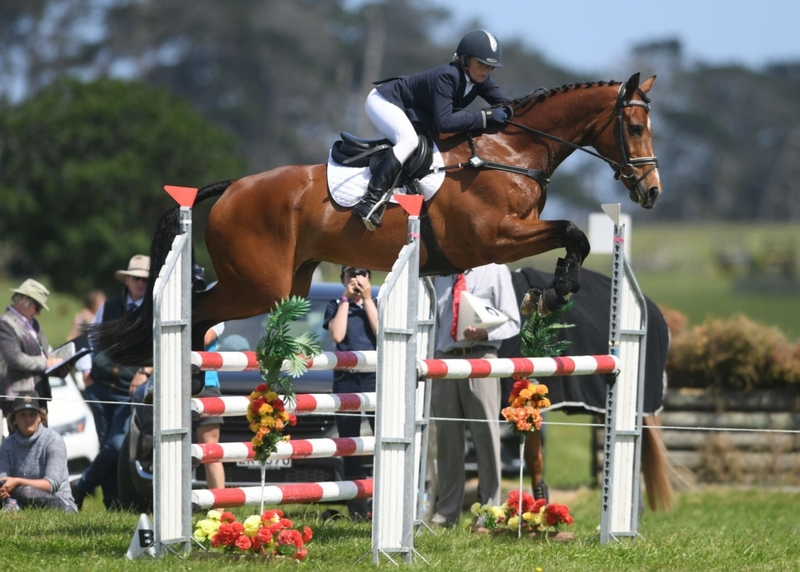 Having already represented New Zealand in the successful Oceania team at the Melbourne Three-day Event at Werribee last year, this is the next step in her career, with 4* events in the northern hemisphere to look forward to. She is a great example of the training programme put in place to help riders move from national to international competition, and will join the British based Kiwis already there. The South Islanders came north with serious intent, and added much interest to the scene at Puhinui. Larissa Srhoy on Rockquest and Courtney Davis on By Hoki were two of the six to go inside the time in the Auckland Council CCI2*, Courtney having the presence of mind to raise her hand and ask for her time to be taken when she was forced to circle before the water complex as another competitor was in the complex. 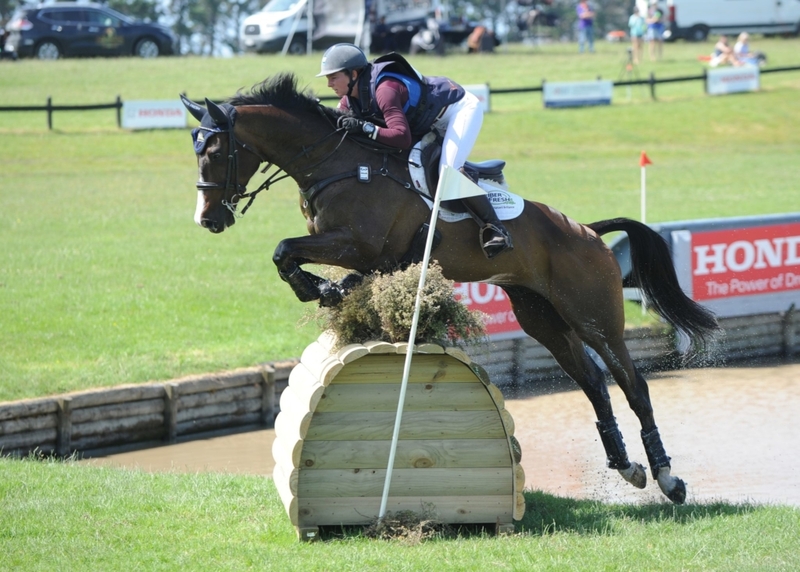 A rail down cost her fourth place, but they finished fifth and sixth respectively, to take the top two spots on the Pro-Am points table, marginally ahead of Sophie Wilkinson on Astek Gravitate, who completed the Veterinary Associates CCI1*class. Neither of the previous top two were competing at Puhinui, and have been relegated to fourth and fifth, but this is a keenly contested series. Courtney Davis, By Hoki, 77.5 pts; Larissa Srhoy, Rockquest, 75.5pts; Sophie Wilkinson, Astek Gravitate, 75 pts; Kelsey Leahy, Showcause, 73 pts; Samantha Mynott, Ipso Facto, 71 pts. 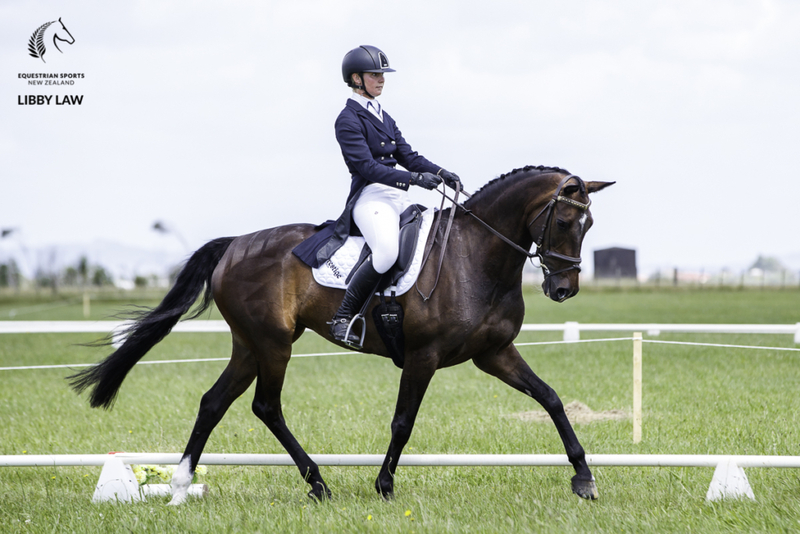 Shannon Galloway and Day Walker, who won this series last year, have taken the lead again following a good completion in the Auckland Council CCI2*, adding a mere 0.8 of a time penalty to their dressage score. Susan Le Mesurier did not add to her points tally on Sparky Malarkey, but these two have a huge margin over the remainder of the field. Janine Hayde has moved into third place on Brentwood Bravo after finishing on their dressage score in the Veterinary Associates CCI1*. Shannon Galloway, Day Walker, 79.5pts; Susan Le Mesurier, Sparky Malarkey, 68 pts; Janine Hayde, Brentwood Bravo, 49.5 pts. The Mitavite Young Rider is another keenly contested series, despite only the leader, Lucy Turner on Astek Victor adding any points at Puhinui after completing the Veterinary Associates CCI1*.She also holds fifth place on Carbon, on whom she contested the CCI2* in Adelaide last month. Second placed Renee Faulkner is now 21 so will not add to her total on Rubinstar HH, but they were presented with the Barbara Thomson Memorial Trophy for the Best Performed Young Rider in the ESNZ Eventing Super League last year, as it could not be presented at the Eventing Awards Dinner in July. Renee is the inaugural winner of this trophy, presented by Barbara’s family, to encourage Young Riders to move up to top level. Lucy Turner, Astek Victor, 62.5 pts; Renee Faulkner, Rubinstar HH, 57 pts; Aiden Viviers, Giselle II, 53 pts; Greer Caddigan, Gymnastik Showdown, 50 pts; Lucy Turner, Carbon, 48 pts. Alena Dorotich has taken the lead with Donner XS in the Junior Rider series after placing fourth in the Veterinary Associates CCI1*. The previous top two, Kaitlyn Freeman on Landisohn and Georgie Moody on How Fantastique, were not at Puhinui and have been relegated to second and third, but there is a big gap to the rest of the table. Alena Dorotich, Donner XS, 80.5 pts; Kaitlyn Freeman, Landisohn, 75 pts; Georgie Moody, How Fantastique, 70 pts. The Grassroots series is looking like a one horse race at this stage, with Leisa Keightley and Black Attire the only serious contender. 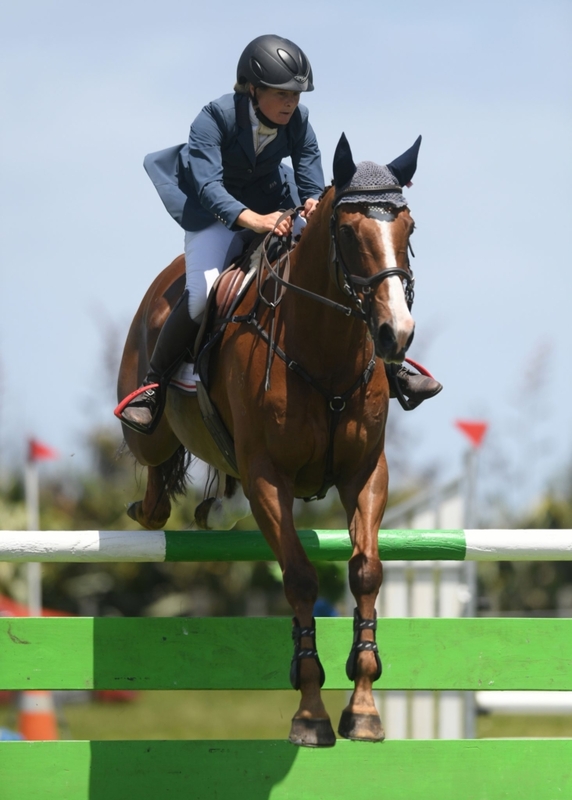 They completed the NZ Horse & Pony CCN105 at Puhinui to keep adding to their tally, and certainly look unlikely to be caught during the autumn, with a buffer of 45 points over the second placed rider.